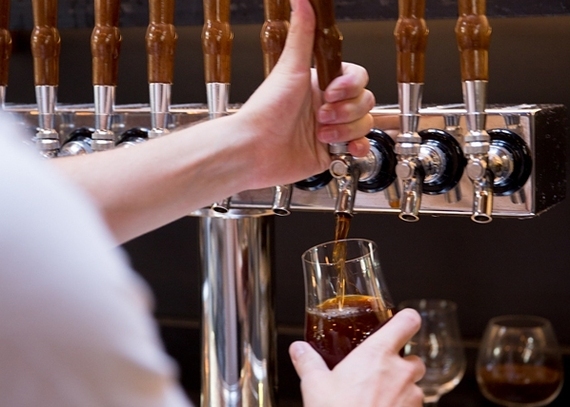 Craft beer is booming in the Bay Area. 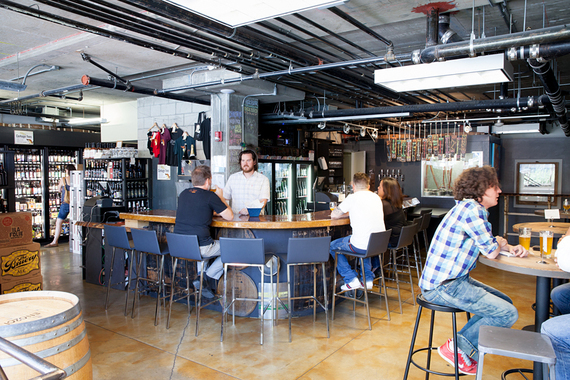 The San Francisco Brewers Guild recently welcomed its 17th member, and new bottle shops, beer halls and breweries are popping up across the region. Many, including both new and established places, are perfectly positioned for urban beer hiking -- think connoisseur's voyage, not pub crawl. 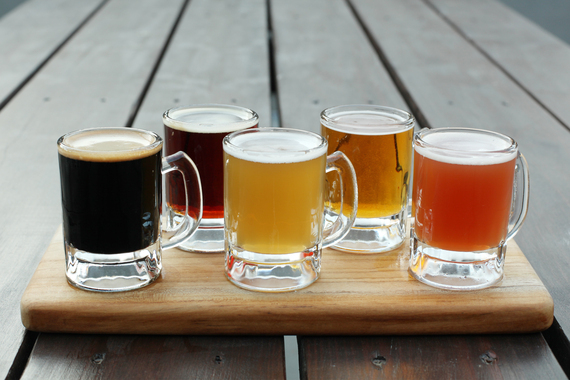 Craft your own adventure with these five beer-tasting itineraries. Start the afternoon at City Beer Store, a hybrid beer bar and bottle shop that's a magnet for ale and lager lovers. Well-versed bartenders walk newcomers through the frequently updated tap list, while aficionados will find other customers eager to trade recommendations. Look for local favorites and rare American and international finds among the walls of bottles available for on-premise and to-go enjoyment. About a block away, Cellarmaker Brewing Co. began crafting small-batch beers in fall 2013, bringing fresh pint and growler options to the neighborhood. On brewing days, guests can watch the action through windows on one end of the tasting room. From there, it's a flat, 1.5-mile walk to 21st Amendment Brewery. Refuel with some well-crafted pub fare and a pint of Brew Free! Or Die IPA, Hell or High Watermelon Wheat or the latest seasonal on the brewpub's tap list. The bar fills up when the Giants play at home, as does its ballpark neighbor, Public House. Located at AT&T Park, this popular pub spotlights regional beer on 24 taps (including three cask options) and also serves bottles, bar snacks, burgers and more. With happy hour specials, an outdoor patio and televisions throughout, plus direct ballpark access, it's a toast-worthy stop for sports fans. Circle behind AT&T Park and trace the coast toward the Embarcadero for a waterfront walk leading to the Ferry Building. 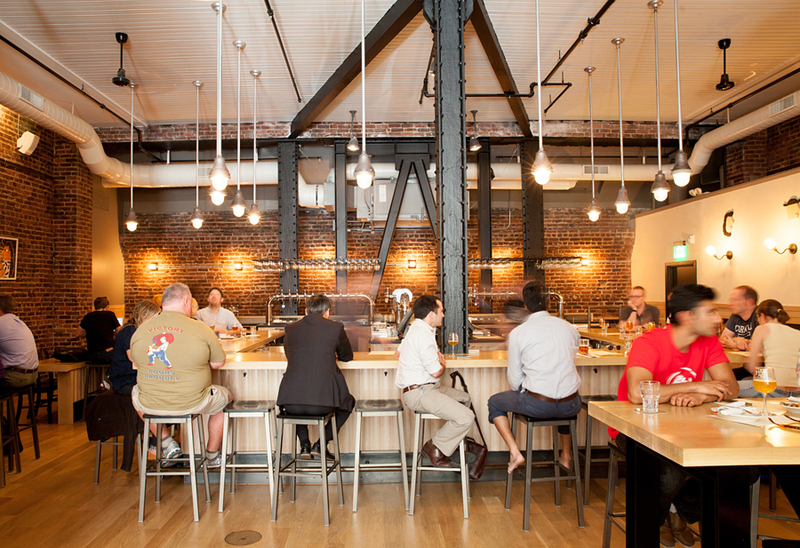 Or, plan a side trip to Anchor Brewing's Potrero Hill facility. It's about a mile along 19th Street to palm trees and people watching at Mission Dolores Park, a perfect pit stop before Cervecería de MateVeza. This tiny place on the park's northeast corner brews its beers with yerba mate for a caffeine-rich punch and also peddles piping-hot empanadas and assorted bottled beers. From there, take a two-block detour to Mission Dolores, one of S.F. 's oldest structures. Wind back toward the heart of the Mission for Monk's Kettle, a gastropub specializing in local and Belgian brews. 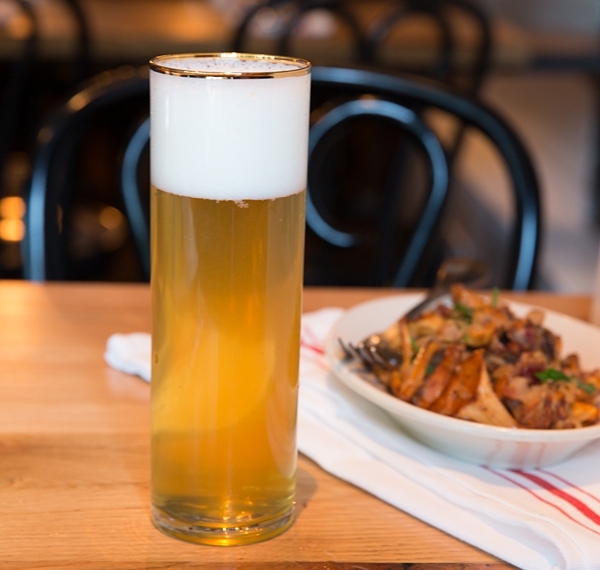 The no reservations restaurant hosts beer dinners that routinely sell out, and its daily lunch and dinner menus were created to complement a dizzying array of draft and bottle options -- more than 200 at any given time. After a drink, spend some time exploring the neighborhood's quirky shops, stylish boutiques and popular cafes. A restaurant boom has transformed Valencia Street into a culinary destination: Bar Tartine, Mission Cheese and Dandelion Chocolate are among the headliners, and The Abbot's Cellar caters to a craft beer-loving crowd. Staff educate guests on the qualities of each by-the-bottle and by-the-glass beer, and the selections pair well with locally focused food. Have time for a nightcap? Hail a cab and head to Toronado, the legendary Lower Haight bar that's been pouring pints for more 26 years. Set out after a pint at Golden Gate Tap Room, a spacious bar and grill with more than 100 draft and bottled beers. Following a little friendly competition -- the tavern has pool tables, foosball, skeeball and arcade games galore -- stop to snap photos in Union Square and take in shops and art galleries on the way to Jasper's Corner Tap & Kitchen. With 18 taps, more than 40 bottled beers and an innovative cocktail list (including some featuring beer as an ingredient), there's no shortage of drink options. Plus, the cool corner restaurant turns out thoughtful gastropub fare and offers a dedicated menu of french fries and poutine. From there, it's about three blocks to Mikkeller Bar SF. As the first American outpost of the popular Copenhagen original, this buzzed-about tavern attracts beer enthusiasts with 40 taps, two cast handles, exclusive house beers and an outstanding bottle selection. There's also a downstairs bar devoted to sours, and the kitchen cranks out sandwiches, sausages and sides. For the final stop, follow Market Street to The Beer Hall. An urban energy distinguishes this downtown stretch, home to the Bill Graham Civic Auditorium, The Warfield and the Asian Art Museum. Farmers' markets and food trucks frequently set up in neighboring United Nations Plaza. 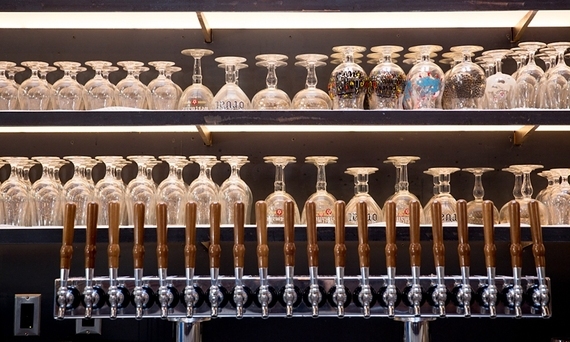 At The Beer Hall, sample a California-crafted ale on draft or pick up a few bottles to enjoy later. Pint lovers will find plenty of sipping stops within a short BART, bus, ferry or car ride from San Francisco. Marin Brewing Company, Moylan's Brewery and Iron Springs Pub and Brewery are North Bay main stays, and Mill Valley Beerworks draws loyal fans with an enticing menu of house brews, bottled beer and sophisticated cuisine. Marin County restaurants like Larkspur's Farmshop and Barrel House Tavern in Sausalito also promise beer-friendly food menus. In Novato, Baeltane Brewing samples its ales just off Highway 101, and beer enthusiasts line up for pints of Pliny the Elder at Russian River Brewing Company in Santa Rosa. Berkeley's Triple Rock Brewery & Alehouse and Jupiter top the list of longtime East Bay hotspots, and new to the scene Sierra Nevada tasting room. The Trappist, in downtown Oakland, and The Trappist Provisions, its Rockridge spin-off, appeal to a Belgian-loving crowd; just down College Avenue, Barclays Pub maintains 30 taps. For more, try Oakland's Pacific Coast Brewing Co. and its nearby neighbors Beer Revolution and Olde Depot, or make the trek to Drake's Brewing in San Leandro. In San Carlos, Devil's Canyon Brewing Company hosts Friday night growler-fill events, and Ale Arsenal supplements its 25 taps with a solid bottle selection. Free Wheel Brewing Company in Redwood City turns out low alcohol, cask conditioned ales with an English accent. A few miles away, Harry's Hofbrau dishes up hand-carved meats and comfort food that diners wash down with a wide beer selection. Down the road in Mountain View, Steins Beer Garden offers 31 rotating tap options, modern American comfort food and a roomy outdoor patio that's popular on warm evenings. For vegan fare and rare brews, try San Jose's Good Karma. Stroll down the block to Original Gravity Public House for additional options.